9. Ki-27b from 1. Chutai 64. Sentai, Maruta Butai, China 1940. Gunso Shigeru Takuwa flown this plane. Aircraft has dismounted cockpit shield. 13. 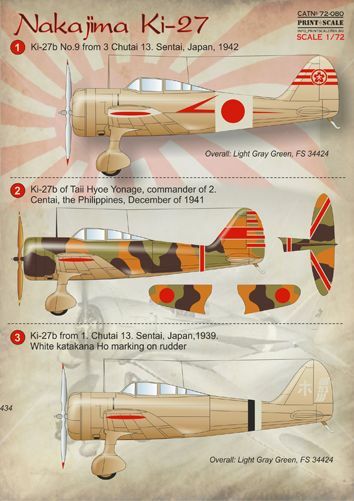 Ki-27b from 14. Kyoiku Hikotai, November of 1944. Black and white hiragana So. on rudder.